Many people love to tour a place at their own pace. The best mode of travel is to get a caravan. While there are ample facilities to rent a vehicle, however, it is best to have one. As per your requirement, you can choose to buy the RV. But, if you think that you will not be regular on your touring adventure then you should give a thought to the small caravans. Small caravans are not easy to park and tow, but you can also easily maintain them, and the overall servicing cost for these caravans all throughout the year will be very low. Within the small caravans, you will come across several models and sizes. 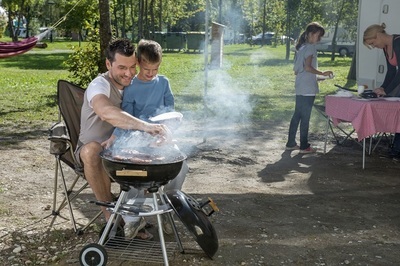 Right from camper trailers to a motor home, you will find ample options to pick from. Caravans are known to help you with great comfort. This is because you can fix appliances like the ones that you have at home. 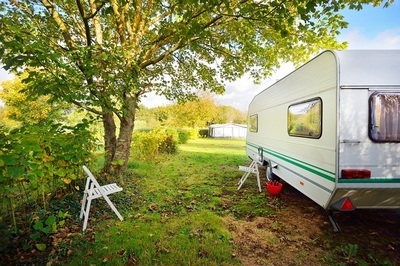 You can choose to have beds and fully stocked fridge even in your small caravans. Right from cooking utensils to wardrobes and air-conditioner, have to be carefully planned and then installed in the caravan. There are different capacities which you can find in these small caravans, and it is better to search for all those ones which have kitchens, small lounges, shower and small storage facilities. Another feature that will make buying the small caravans easier is the purpose. Whether you will be regularly hitting the road in your caravan or would be taking it out once in a while will help you buy the right van. If there are any elderly or children then you will need the caravan upgraded accordingly. If it is going to be just your friends then you can choose the layout for the interiors differently. Do not assume that the small caravans will not have weight issues. Before you get excited in buying the caravan, you will have to learn about the weight ratio. This means, the car required for towing the caravan should have the right weight as well. There are many caravans sellers and manufacturers who are available in the market and you can contact with them regarding the price list, the weight and the on-road performance of the caravan. The best way to know about the weight ratio is through the handbook where you will find all the safety measures. Whether you are buying new or used small caravans, you will have to run a safety check on it. See if the sockets are placed in its proper place. There should be no wear or tear signs or major damages if you are buying a used vehicle. Also, you need to be specific about the getting the license. See if the dealer passes you all the documents pertaining to the ownership of the caravan. It is also important that you choose the right dealer to buy your first small caravan. Look out for authorized dealership where you will surely get a variety of caravans. When you have a strict budget to follow then you should wait for the sales. With the facility of loans, you can even choose to pay EMI or apply for the loans. Never rush when you think of buying the caravan. Take your time to research and take a look at as many options as possible. You can also get a small and budget caravan on rental basis according to the need of the situation.